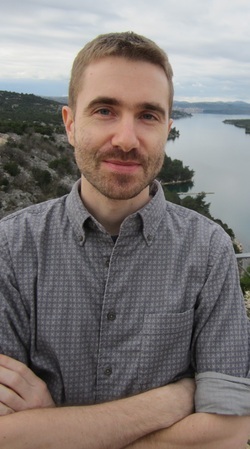 Marko Grdesic is a doctoral candidate in the Department of Sociology, University of Wisconsin Madison. 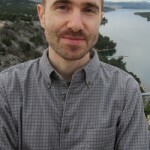 He is currently an affiliate of the Center for Ethnicity, Citizenship and Migration at the Faculty of Political Sciences, University of Zagreb. He researches social movements and political sociology focusing on populism as a set of interactions. Left East: May Day was once a symbolic day of struggle for the labour movement and then an official state holiday. How is it commemorated in Croatia? 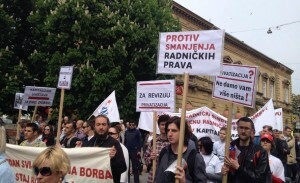 Marko Grdesic: Commemoration of May Day varies from town to town. The largest event is held in Zagreb, Croatia’s capital. Usually, unions and the mayor of Zagreb organize an outdoor event in Maksimir, the largest park in the city. Free food is given out, usually beans, a traditional blue collar meal. This amounts to long lines of pensioners waiting for a free meal. This year, however, unions will hold an independent event in Sisak, an industrial town that has been hit hard by unemployment and factory closures. The traditional May Day celebration in Maksimir is old fashioned and politically conservative. It is mostly an opportunity for the mayor and other politicians to be in the media. Any new initiatives to take back May Day as a day of worker resistance should be welcomed. LE: The post-1989 transformation led to changes in the role of the unions in society. Could you tell us a bit about what it was like before and what it is like now? In particular, how would you say that these dynamics have impacted on the left in Croatia, considering that traditionally Trade Unions have acted as the backbone of left mass movements? M.G. : In socialist Yugoslavia, practically all workers were members of unions. Since the fall of the Berlin Wall, the deep changes to the political and economic landscape have led to ever-dropping unionization rates. Data on unionization is notoriously bad, but it can be estimated that about 25 to 30 percent of employees are union members. Unions cluster in the public sector and large companies. They have not been able to enter the new sector of private firms. This is due to a combination of union inertness, employer resistance and state negligence. The fact that unions have not become a factor in the new private sector has lead many to denounce them as protectors of those that are better off anyway, while those in truly precarious economic positions are left without protection. Such segmentation of the labour market into insiders and outsiders is thus deeply damaging to a broader sense of solidarity. Employers, political elites and the neoliberal media can resort to easy divide and rule tactics. Those in public sector and unionised jobs are called leeches and parasites. In addition, there is no political party which can be called a political ally of unions. A recently established radical left party called “Workers’ front” may change this, but it is still small and weak. LE: Many commentators feel that globalisation has had an important effect on worker organisation (race to the bottom and threat of outsourcing, the rise of services, precarity, anti-labour legislation, etc). What are some challenges you have noticed and how have unions responded to these? M.G: Trade liberalization has, over the last twenty five years, lead to mass social displacement. Former industrial giants have closed down or become shells of their former selves. Some of these firms were hit hard by the war, some by the loss of Yugoslav and Soviet markets, while some could not withstand competition from abroad. For example, textile companies find it hard to compete with cheaper production coming from Asia. Trying to move up in the supply chain in order to focus on branding and design has lead to a few successes but the losses in employment have been large. Other important sectors, such as ship-building, have also faced tough competition from Korea and China. Trying to compete purely on cost is not an option. More ambitious and creative solutions via industrial policy have proven to be outside the capabilities of the state. Furthermore, EU membership has imposed limitations on what the state can do in order to help failing sectors. All in all, there is not much reason for optimism. Globalisation has weakened unions. LE: Eastern Europeans are both sending and receiving countries for migrant labor. What campaigns have been made in your country on migrant work either in reference to workers in diaspora, or to new migrant workers? Croatia is not a major recipient country, though membership in the EU may change this in the long term. For now, most of the in-flows are from Bosnia and Herzegovina, where a sizeable Croat constituency lives. Obtaining legal status for this group is not too difficult and there are no language barriers. This form of migration has been going on since the 1990s. The number of asylum seekers is on the increase and the state is traditionally slow to respond to these claims. In terms of out-flows, EU membership has made seeking employment elsewhere easier, but restrictions still exist in most West European countries. These are set to expire eventually and only some member states (such as Ireland and Denmark) have opted to not make use of them. High unemployment in general and high youth unemployment in particular have pushed many young people into moving. Data on this trend are poor so it is hard to say how many have left and what the duration of their stay is. The media has latched on to the trend of trained physicians leaving for better paid work in hospitals in Germany, but has covered the issue in a rather sensationalistic way. Several hundred doctors and nurses are estimated to have left Croatia since the country entered the EU in 2013. So far, this trend is not as big as the one witnessed in Poland, for example. Unions do not play a major part in this story. Nor do they have a strong track record of reaching out to foreign workers. Unions traditionally lobby for a more restrictive policy of work permits for foreign citizens, even when employers cannot find the workers they need. In that sense, we should not hold our breath for union displays of cross-ethnic solidarity. LE: Female work – and especially care work – has been one of the main “exports” of Eastern European countries. At the same time, women who have stayed in the region have often been hired as domestic or unskilled workers by outsourced factories. Have the unions in Croatia addressed these issues, and has gender been a topic of their work? Unions have addressed some needs of female workers. For example, textile unions try to protect the overwhelmingly female workforce in this sector. But, women working in less traditional service jobs are more or less left to themselves. Overall, women have shouldered a disproportionate share of the burden of the current economic crisis. Economic issues that are important to women still tend to remain rather invisible. New initiatives in civil society have tried to step in and address some of the issues that women face in the labour market. This is part of a larger trend in which smaller leftist projects have sprung up in civil society, whose main thrust since the 1990s have been issues of human rights and anti-nationalism, not leftist issues of solidarity and equality. In the context of war in the 1990s this agenda is understandable, but it has weakened the left in the long term. There are some modest signs that this may be changing, as a new generation of activists emerges.